After disaster strikes, you need a reliable shoulder to lean on. When it comes to reconstructing your home or business from water, fire or mold damage, look no further than Ft. Myers Water Restoration Company’s team of experts to rebuild your property with ease. We are an exceptional company, with an extraordinary group of experts working under exceptional guidelines for the comfort and satisfaction of our clients. Emergency Services; our 24-Hour Emergency Services are available to you 365 days a year. Our experienced customer care team is always ready to provide accurate information as per your needs. Besides, our team of experts can help you through these difficult times and ensure the protection of your property against further damage by providing board-ups, water extraction, temporary power, and heat, or structural drying and cleaning. Ft. Myers water Restoration Company is capable of taking care of all of your emergency needs. Ft. Myers Water Restoration Company cares for you; therefore, we put in place measures to curb mold growth like identification of the damp areas and correcting them, ensuring proper drainage around the building, drying all the wet areas within the shortest time possible, improving airflow in the building, enhancing adequate ventilation, equipping the home with mold-resistant products, monitoring humidity indoors. After removing any moldy debris such as sub-flooring or drywall, we treat the hard surfaces with commercial mold control products containing bleach or ammonia, which can help to eradicate any surviving mold. For continued mold prevention in problem areas, we encourage the application of vinegar one to two times a week as well as a regular scrub of the field with borax and water to help prevent and control mold growth. Mold in homes can cause significant damage and even health risks, but by understanding the range of mold control and mold prevention products available, you’ll be equipped to keep your home mold free. For more information and the best solution to the mold menace contact the Ft. Myers Water Restoration Company. Our fire damage restoration process includes mitigating damage, providing smoke damage cleanup and water restoration as quickly as possible. The Ft. Myers Water Restoration Company offers an effective emergency response that quickly stabilizes the facility ensuring the recovery of as much property as possible. Some of our experts will carry out the property damage assessment. Once an accurate scope of loss is determined, our company will provide estimates for clean-up, demo, and repairs to your property. Our dedicated team promptly cleans up the acidic soot, and smoke damage often produced during fire extinguishing because they accelerate the deterioration and corrosion of building components and vital assets. Nevertheless, more often fire is put off using dry chemicals or water, usually has the toxic smoke odor left behind must be neutralized and deodorized. 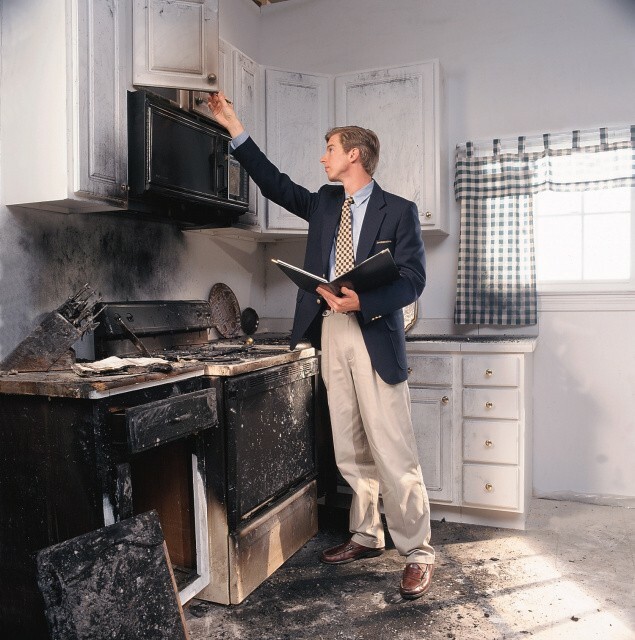 On completion of the process, the fire damage restoration company can offer tips on how best to avoid future fires. For best and reliable fire damage restoration services, the Ft. Myer water restoration Company is always at your service. Ft. Myers Water Restoration Company is one of a few companies specializing in mold, water, fire damage that is capable of handling your loss from the beginning to the end. Our trained and certified technicians use the latest specialized equipment and technology to address the problem together with its cause correctly. 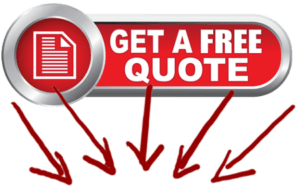 We can also provide you with a complete inventory list of your non-salvageable contents. 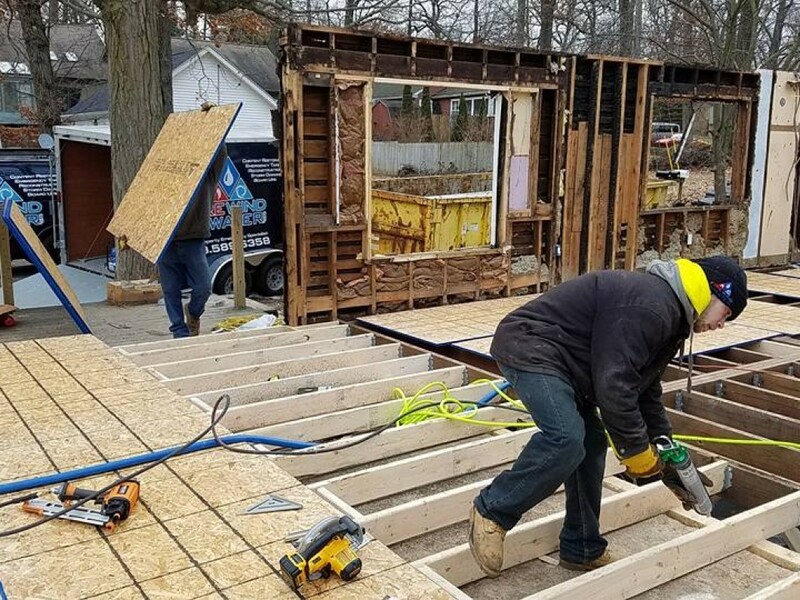 Our skilled staff is always available to work with you and your insurance company through all phases of the reconstruction and restoration process to make sure that your home or business is better than the pre-loss condition quickly and efficiently. Water damage isn’t something that you can endeavor yourself, especially when you are living in Ft Mayers, a city of Florida near seashore. A Wet Vac wouldn’t take care of business. If this damage is not treated legitimately, can cause long haul auxiliary harm and numerous wellbeing risks because of mold and microbes. Since when water enters your premises, time is your most exceedingly bad adversary. Given the correct conditions, the mold will begin to develop in a brief timeframe. And the water evacuation and drying the premises rapidly is only the quickest option to prevent the development of mold. But now you do not have to worry, the darkest of the night is past, and here comes the day bringing to light its devastating impact. No need to cry over spilled milk but this is the time to find a way forward. Either fire or water accident, damage restoration is available to restore back the lost glory of a building. There are companies who major and offer expertize in Ft Myers Water Restoration and have over the years proven to be a good doctor to their ailing patients. 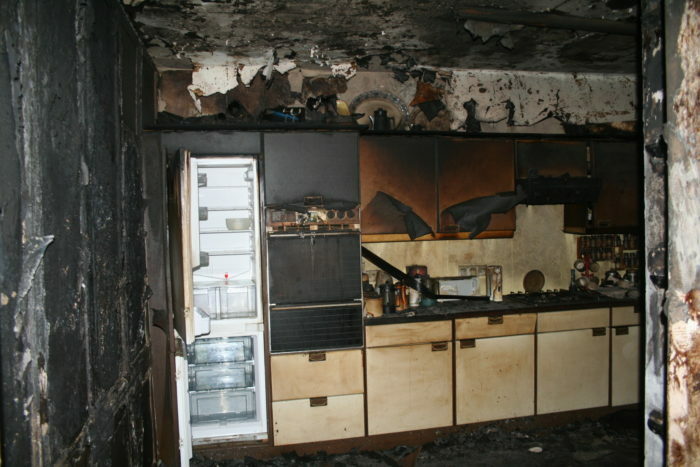 Damage restoration is more complex and tiresome than the fire or water control service. If your house is on fire or have been through a potential flooding incident, it is the time for you to contact restoration unit in your area to take care of such situation. You should know first that this type of service is not subject to regular business hours. But doing a research can solve the problem. Basically it depends on the nature of the situation you are facing. Like some fire and water restoration companies offer 24 – hour services, 7 days a week, and (you would likely guess), even on holidays and are considered frequently by many people, which allows them to stand-out among the best in the market. Nothing works better than to begin restoration of a damaged property early because in this way, you will most likely limit the cost that has been incurred during this process. So contact or visit a particular service company to resolve the case. If you are living in Ft Mayers then you will certainly find many that provide services in this regard. Getting their contacts and agreeing on a charge would do so much help to your ailing property. 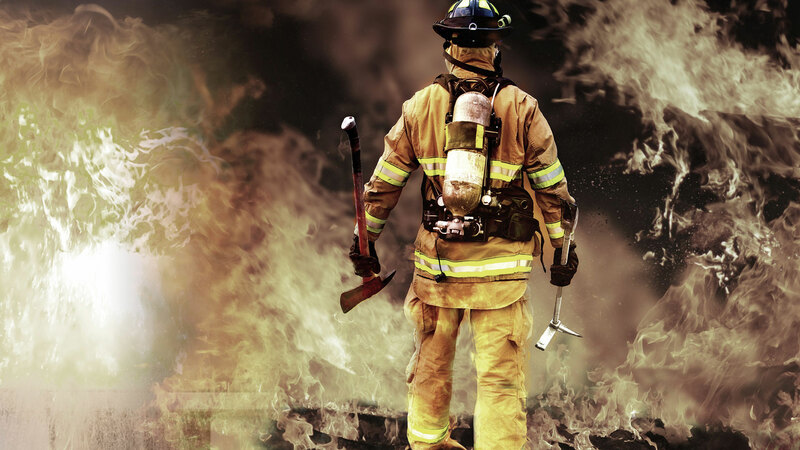 Fire reclamation and smoke repair are one of the numerous emergency services that do best! Home and business fire/smoke repair administrations are accessible every minute of every day comprehends that there isn’t much time to respond to a fire or smoke harm crisis. That is the reason there are fire repair pros waiting for your call, at the present time! You are in a dire need to confide in them. Not just on the grounds that they have long periods of involvement in crisis repair and reclamation, yet additionally on the grounds that they utilize the most recent best in class gear! Thousands have officially confided in their home with the specialists at. So get in touch with some pro today to get your home repair booked, at this point! Each fire harm circumstance is somewhat different and requires a unique kind of arrangement, however the general procedure remains the same. At the point when different materials consume, the ash they make contrasts significantly and requires a particular cleaning technique. These are main steps that well-reputable companies usually utilize in the procedure for the “run of the mill” fire harm restoration. God help us my home is overwhelmed! Sudden surges and holes can strike abruptly. In the event that your house is hit by water harm, you require the administrations of the most qualified water rebuilding firm-quick to take things back to the manner in which they were, with as meager obstruction to your life as could be expected under the circumstances. 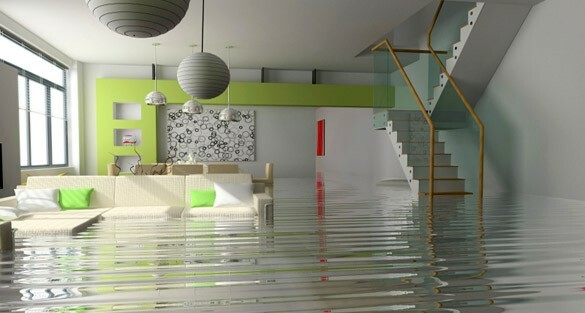 Water rapidly spreads all through your property, immersing everything in its way. Water is consumed into dividers, floors, upholstery, and possessions. Furniture completions may drain, causing perpetual recoloring on floor coverings. Photos, books, and other paper products begin to swell and twist. Drywall starts to swell and separate. Metal surfaces start to discolor. Colors and inks from fabric and paper merchandise spread and stain. A smelly scent shows up. Form and buildup may develop and spread. Entryways, windows, and studs swell and twist. Metal starts to rust and consume. Furniture twists and hints at shape. Wood flooring swells and twists. Genuine biohazard pollution is conceivable. Reclamation time and cost increment significantly; supplanting debased materials and auxiliary remaking might be broad. Auxiliary wellbeing, form development, and biohazard contaminants present genuine dangers to inhabitants. Recouping your misfortunes is fantastically critical as of now! If you are living in Ft Mayers. Then the water restoration companies located in that area fully understand that you probably won’t be fit for an enthusiastic reaction. Therefore, they usually set up a unique crisis group at your administration on the sad occasion that you endure water harm. The companies’ experts remain good to go, in light of the fact that the water and surge harm require quick action. Flooding and water crises don’t sit tight for standard business hours and neither do the services at Ft. Mayers. There are various firms in Ft. Myers that give emergency cleaning and rebuilding administrations 24 hours per day, 7 days seven days—including all occasions. You can expect a quick reaction time, day or night. There are few things in your home that are as crucial to your health as mold removal. Ft Mayers can become extremely humid in the summer, which is a primary cause of mold & mildew. Mold in the house can be dangerous, causing a large number of health problems. These include skin rash, nausea, mucous membrane irritation, acute or chronic liver damage, and immune system suppression, harm to your central nervous system, cancer and endocrine effects. Form can possibly cause wellbeing impacts and can spread through your property in as meager as 48 hours. There are number of companies in Ft. Myers that comprehends the reason behind the formation of mold development and has the preparation and skill to re-mediate it once it occurs in your home or business. Form is available all over the place, inside and outside. Form spores are tiny and skim along noticeable all around, and they may enter your home through windows, entryways, or AC/warming frameworks or even hitch a ride inside on your dress or a pet. Form spores blossom with dampness. Form spores can rapidly develop into provinces when presented to water. Before form remediation can start, any wellsprings of water or dampness must be tended to. Generally the form may return. Give your nose a chance to lead the way. Form regularly creates a solid, smelly scent, and can lead you to conceivable shape issue territories. The mold cleanup and rebuilding process starts when you call some agent from some restoration company. He will solicit an arrangement from inquiries to enable the rest of the team to decide the vital gear, assets, and faculty. The specialists will precisely examine your property for noticeable indications of mold. Generally mold sustains on cellulose and water and can be escaped plain view. They utilize different innovations to identify mold and concealed water sources. The experts utilize different regulation methods to keep the spread of mold. They may utilize propelled control techniques like negative air chambers to segregate the sullied region with physical boundaries and negative gaseous tension to shield the spores from spreading amid the cleanup procedure. All fans and warming and chilling frameworks will be swung to keep the spread of mold. The mold remediation process relies upon the measure of its development and the sorts of surfaces on which it shows up or going to show up. The expert agents will utilize antifungal and antimicrobial medicines to wipe out mold and to help to prevent the new states from framing. It might be important to evacuate and discard form plagued permeable materials, similar to drywall and covering, to remediate overwhelming mold development. The well-reputable companies also provides services to clean your furniture, enhancing things, shades, garments, and other restorable things influenced by shape. They utilize an assortment of cleaning strategies to clean and sanitize your things. They’re likewise prepared to evacuate scents and freshening up utilizing misting gear. Contingent upon the level of mold harm, drywall, subfloors, and other building materials may have been expelled. Rebuilding may include minor repairs, for example, supplanting drywall, painting, and putting in new cover; or it might involve significant repairs, for example, the remaking of different territories or rooms in a home or business. The rebuilding step recovers your home or business to ordinary. 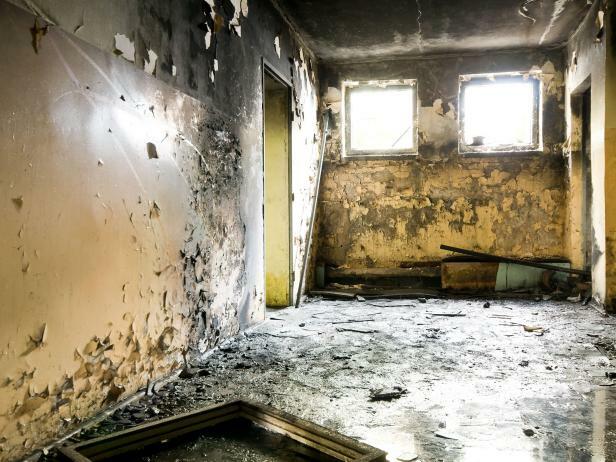 Why does fire damage entail fire, mold, and water damage restoration service? Whenever a house, property, or any setup burn, you may immediately apply untold of types of measures to stop the spread of the fire, but to put the fire down completely you can’t help spraying fire in the largest scale possible. That does mean you have to restore or repair both for the fire and water damage. And the damage caused by water and sewage can’t restore to the previous order, but take measures against the mold an infested growth of the tiniest spores invisible to the bare eyes. After or while a devastating fire does the havoc on your house or property, you are left not only with the smoke or fire decline. As widespread water spraying both from the fire service and onlookers act instrumental to put the fire completely off, water damage comes as an obvious by-product of fire damage. Fire damage restoration means the techniques to remove the rising and stench smoke, the inevitable firefighting by-product soot, darts from upholstery and floor carpets. The most complicated and critical and so crucial of all damage restoration water damage. That kind of accident does not waste everything completely and that is the hardest part of it. You have chances to bring most of the water damaged wasted to the pre-damaged state. To do that, you need sophisticated equipment, highly innovative techniques because you have to remove the tiniest drop of water. Moreover, a close inspection and documentation of the drying procedure are required. This drying process must be thorough and fast. You can rely on some specialists to go to your home and dry down its structure and substance. Besides living in Ft. Mayers means living near a seashore. Hence, you need extraordinarily prepared experts to utilize logical drying strategies to reestablish your home to typical and rescue your possessions. Moreover, they are suitable for this work because they utilize innovative checking gear to identify the nearness of dampness even under floors and behind dividers. These act rapidly to evade the potential accumulation of mold, buildup and other dreadful microorganisms caused by water harm. The right water harm rebuilding techniques safeguard specific air movers that think a lot of air along floors, covers and dividers keeping in mind the end goal to chop down drying time. The specialists send by some well-reputable company use business dehumidifiers in case when air mugginess turns into a pivotal factor. So do not hesitate and call the nearest service to get through this adversary. Because, you do not want to lose your precious property or let it go to waste, isn’t it? Mold damage restoration: Mold damage, mostly is the aftermath of the other damage restoration process. This damage is spotted very often after the water, sewage, and other damage restoration. It will not be unthinkable for any home or commercial space going infested with the spores known to be mold. Mold commonly, pervade in not more than two or three days, causing a wide sprouting of allergens, contaminants, irritants, and other health issues. If you detect mildew growing in your carpet, upholstery or other surfaces it is important to act fast, to reduce the risk of health problems. Don’t disturb the mold. Just call if you don’t have experience in handling mold & mildew, it’s advisable to leave the job to an expert, to ensure proper care of the problem. The right and rapid are the two words you must bear in mind when calling an agency for solving the case of restoring water, fire and mold damage. Having a sound knowledge beforehand is urgent in this case and this article is exactly the thing you need to do right away! So go through it thoroughly and take serious precautions depending upon your condition to protect what’s precious to you.